Base building in Rust is pretty much a lost cause. You get everything looking just the way you want it to and gather some supplies, then some overzealous raider comes along and blows it up, making you start all over again from scratch. It’s just another certainty in life, alongside death, taxes, and having more games in your Steam library than you could possibly play in a lifetime. The more you build in Rust, the more likely it is that someone will come along and loot your creation’s contents, leaving it in ruin. That’s why a few experienced Rust players have started to dedicate their time to dastardly trap bases, hoping to give some raiders their just desserts and turn their outrage into hilarious – albeit sweary – videos. Trap bases have been a thing in the Rust community for quite some time now. Their popularity has grown alongside the increasing number of YouTube channels dedicated to showcasing the latest and most devious creations in the community. Players like Wilsonator, Oblivion, Brit, Modgey, and Max Mears now provide poetic justice to the masses on a regular basis. Brit, real name Matt Williams, also puts the sudden rise in the popularity of trap bases down to Oblivion’s videos. Among Williams’ creations are variations on the popular turret trap base – whereby the base owner will hide a turret behind a closed door to kill intruders – as well as large mazes and escape rooms which torment would-be looters and test their skills of deduction. 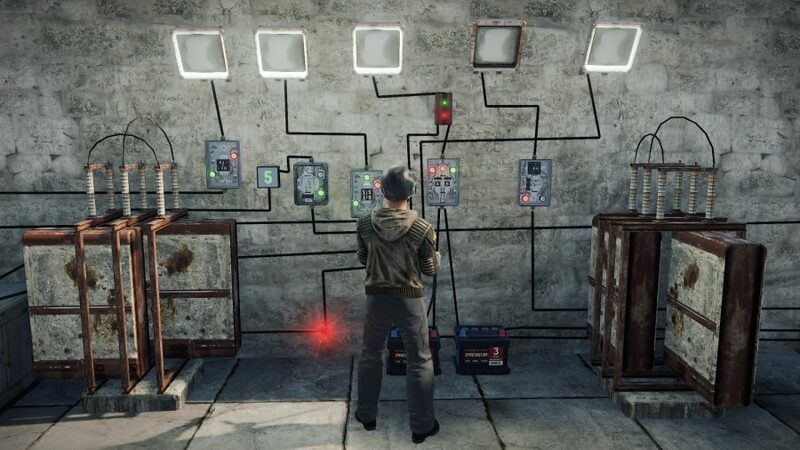 With the introduction of electricity to the game, much of the process of trap-setting has become automated and these builds have only grown more creative and elaborate. You can see this leap in technology represented across the different channels. No longer are traps limited to turrets, hidden bear traps, or collapsible floors that can be shot out from underneath intruders. Oblivion – now one of the most prolific trap base makers on YouTube – has used the new tools to seal off unsuspecting victims and force them to compete in tense games of Russian Roulette. Mears, meanwhile, has taken advantage of the Christmas update to turn the elements against players, lowering their temperature to dangerous levels with snow machines and puddles of water in order to dispose of them. Unsurprisingly, the reactions of the victims aren’t exactly what you’d call friendly. Despite the fact that many of them entered these bases exclusively to raid other players, they often complain about the supposed toxicity of trap bases, and their outbursts are frequently punctuated by a tidal wave of insults and cursing. Mears recalls a time when a group of players raided him with explosive weapons, before succumbing to his trap base and losing their loot. Electricity introduced a ton of new tools to Rust, including a new wiring tool, generators, laser detectors, and pressure pads. These tools have all been employed in trap base designs, helping to automate the process of closing the trap after an enemy has entered the base. Previously, doors had to be shut manually. In one of Williams’ videos, a victim ends up destroying the base with rockets in order to reclaim his gear. Though, in a surprising turn of events, he decides to help rebuild the trap base afterwards – even complimenting Williams on its design and the effort that went into making it. A problem has recently emerged, however – the kind that every hidden camera comedy star ends up facing. Rust’s population is now becoming increasingly aware of trap bases, making it harder than ever to trap players. Some YouTubers have solved this problem by simply shifting their sights away from raiders towards the general population, changing the moral of these videos from ‘Be careful who you raid’ to ‘Be careful who you trust’. It’s not uncommon to see trap bases now masquerading as shops or hotels, disguised to entice gullible players. Some creators have mixed feelings about this solution. Not every intruder can rely on the better nature of their trapper, however. With all the creativity on show, it’s never been a more terrifying time to be a raider in Rust.